It’s February and Valentine’s Day is coming up, so I would like to share the love and give away game codes for AoE:DE, AoE II: HD, AoE III: CC or AoM: EE. Post a reply to this topic with a screenshot, photo or video of what you love about your favorite Age game which you created or captured and provide a short description explaining the screenshot, photo or video. Comment below your description which game code you would like to receive. Add me, RadiatingBlade, as a friend on Steam so I can send you your prize immediately after the contest ends. All three steps above must be completed before the contest ends 11:59 PM EST on Thursday, February 28th. Codes will be provided for the top 3 entries as determined by myself. Note: This contest is not sponsored in any way by Microsoft or Xbox Game Studios. Why is this causing me pain? 8 years ago i've bought "Complete Collection" in Mircosoft Marketlpace. I can download again? I am afraid I will never be able to picture the joy that AOE II had brought into my life throughout all these years. I will seize this opportunity to share this glorious moment where I prevented an opponent from stealing my Boar. or this video where I played a strong opponent “Gripen” - Back then he was better Than I. He has denied me from crucial resources (gold and stone) and oh boy… The adrenaline was flowing in my veins that day. I did not only defeat him but also gave him a lesson on how to respect others and play without gold and stone. Fun Game! One of my favorite things about AoE games are the campaigns. I have spent hundreds -maybe thousands- of hours playing and replaying them again and again. These campaigns added to my historical knowledge greatly, and i know many things about the eras these campaigns took place in now as a result of it. 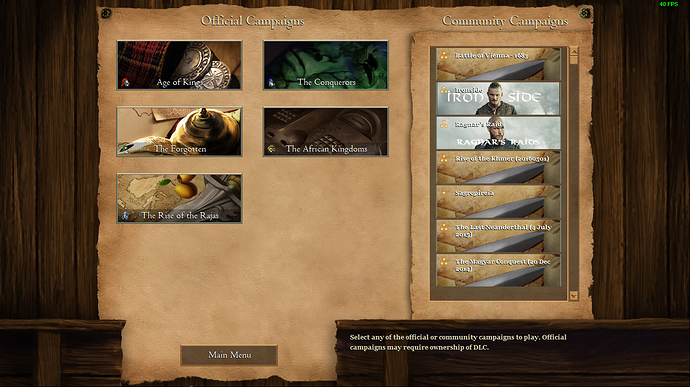 I would like to receive a code for AoE: DD so i can play those campaigns in the nice textures and graphics im used too. Thank you @GregRising and @MSTRSup3rninja for participating in the contest. As soon as I receive the game codes from @Plus2Joe or @jennywaboom, I will send those off to you.